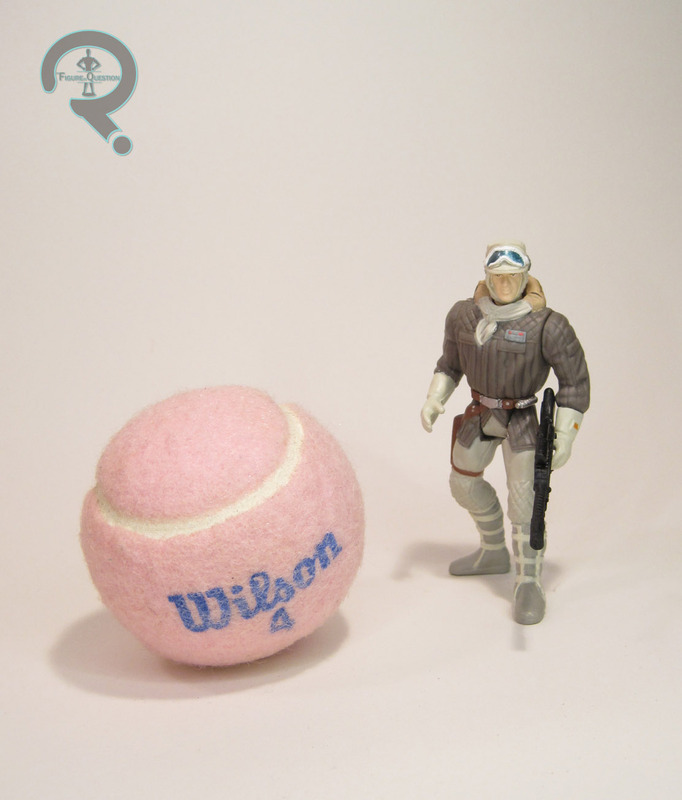 Two weeks ago, I looked at Luke Skywalker in his Hoth gear. Today, I’ll be looking at his natural counterpart, Han Solo in *his* Hoth gear. Two different characters in Hoth gear? That’s just crazy. Okay, no it’s really not. It’s kind of a normal, not at all weird thing. 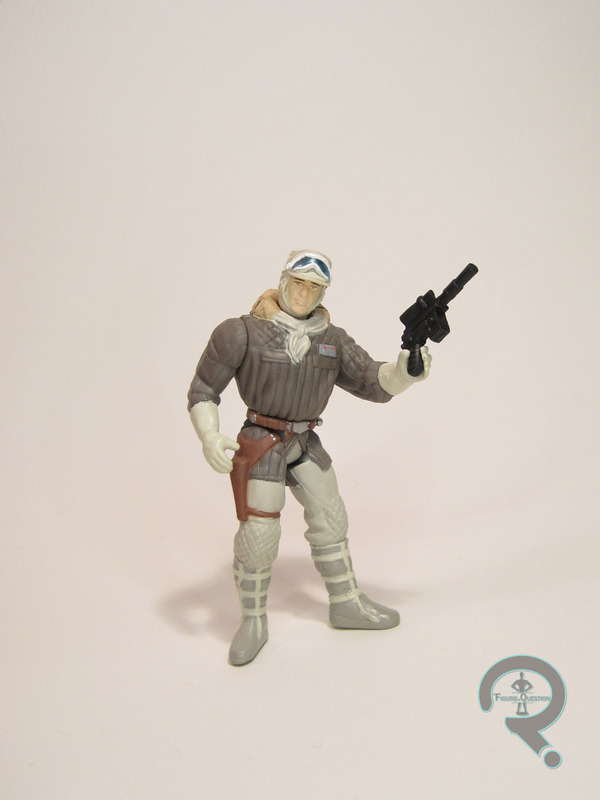 Han Solo in Hoth Gear was released durning Power of the Force II’s second year. He was the second version of Han we received in the line, though he would be joined by the Han in Carbonite figure very shortly after. He predated the corresponding Luke by a year, because I guess people were just chomping at the bit for this particular version of Han (alternatively, there were two different Lukes already in this particular assortment). The figure stands 3 3/4 inches tall and he has the usual 6 points of articulation. His sculpt was unique to him, and it’s definitely a product of the time. He’s bulky, and puffy, and a bit pre-posed. Still noticeably toned down from the first year’s figures, of course, but still kind of ridiculous. Perhaps the most interesting thing about this figure’s sculpt is how it gives us a look we don’t often see. Most Hoth Han’s have the hood to his jacket pulled up, but this one doesn’t, revealing Han’s insulated cap, which matches the other rebels we see on Hoth. It’s easy to forget he’s even wearing that under there, since it’s never seen directly in the film, but there it is. Sort of an odd choice, but I can’t fault them too much for trying something different. The paint marks something of a debate amongst the fanbase regarding the proper coloring of Han’s jacket. The vintage figure’s was blue, based on how it appears to be colored in the film. However, that was all the result of lighting; the actual prop jacket was brown, as seen on the figure here. Of course, this leads to the whole debate about which color is truly accurate, similar to the color of the Ghostbusters’ jumpsuits. At the end of the day, it all comes down to personal preference. Me? I always preferred the blue, but that’s not a huge strike against this figure. Han was packed with his standard blaster, as well as a larger one, if you want more options, I suppose. Han was a figure that haunted me for quite some time in my younger years. All I wanted was a Hoth Luke, but he was harder to find, and Hoth Han was always there, watching me. It was weird. I never did get one, not new at least. This one is a rather recent addition to my collection. I grabbed him during a recent sidewalk sale that Lost In Time Toys was running, alongside a whole slew of other PotF figures. I can’t say he’s really a favorite, but he’s certainly not a bad figure either.